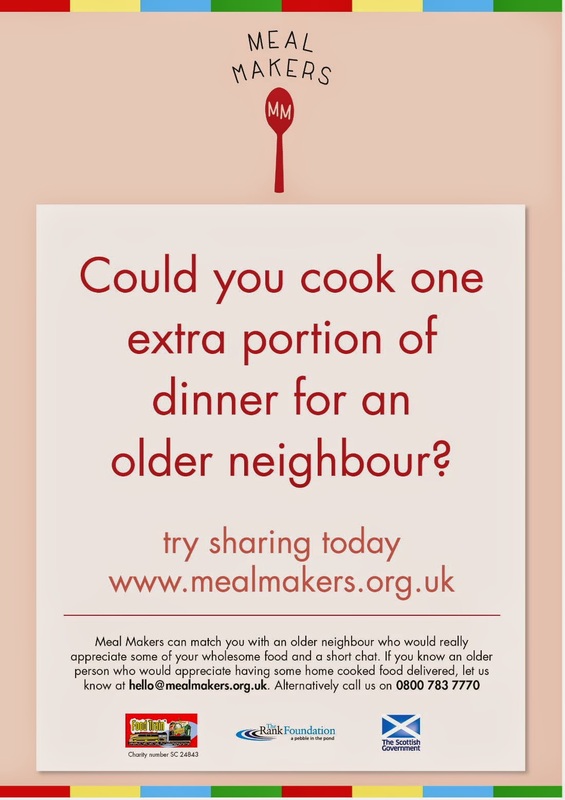 Meal Makers is a new project launched by the Food Train and is a free, local neighbourhood, food-sharing project that connects people who like to cook and are happy to share an extra portion of a delicious home cooked meal, with older neighbours living close by who could really benefit from a hot cooked meal. The project is trying to get a lot of Meal Makers members on board to cook tasty, home-cooked food for their neighbours in order to get more people eating and cooking fresh meals. It is hoped that by running this project, it will help combat some issues experienced by older people in the community such as social isolation and the growing problem of malnutrition many elderly people experience as a result of having difficulty cooking nutritious food for themselves. It is also hoped the project will help to strengthen connections within communities and provide a flexible way for people to volunteer their time and skills locally in a way which suits them. Meal Makers is being rolled out in Dundee as a pilot, and its planned to take the project nationwide if all things go well.